This post examines an opinion from the Supreme Court of Georgia: Lyman v. Cellchem International, Inc., 2017 WL 279514 (2017). The opinion issued in a civil case, but one that was brought under a “criminal” statute: the Georgia Computer Systems Protection Act. After Dale Lyman and his wife, Helen, left Cellchem International, Inc. (`Cellchem’) to work for a competitor, Cellchem sued the Lymans and two companies with which they had affiliated (collectively the `Lymans’), asserting claims for computer theft (see OCGA § 16–9–93 (a)) and computer trespass (see OCGA § 16–9–93 (b)) under the Georgia Computer Systems Protection Act (GCSPA) (see OCGA § 16–9–90 et seq. ), breach of fiduciary duty, and tortious interference with business relations. Cellchem claimed that the Lymans stole data from Cellchem and used it to their competitive advantage. At trial, the jury found the Lymans liable on all claims asserted by Cellchem and awarded Cellchem compensatory damages and attorney fees, as well as punitive damages of $5.1 million. On appeal, the Court of Appeals reversed the judgment against the Lymans on the tortious interference claim. Lyman et al. v. Cellchem Int'l, LLC, 335 Ga.App. 266 (1), 779 S.E.2d 474 (2015). The Court of Appeals also remanded the case to the trial court for a new trial as to punitive damages, reasoning that, despite the fact that the tortious interference claim no longer existed to support a potential award for punitive damages, the remaining claims for breach of fiduciary duty and violations of the GCSPA could still support such a claim. Id. at 277 (4), 779 S.E.2d 474, citing Automated Drawing Systems, Inc. v. Integrated Network Svcs., Inc, 214 Ga.App. 122, 447 S.E.2d 109 (1994) (holding, in one sentence and without further reasoning, that punitive damages are available for violations of GCSPA involving misappropriation of software and withholding of royalties). 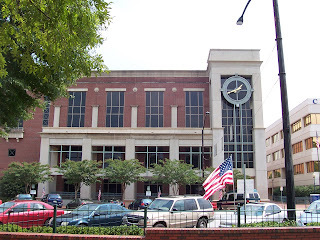 In this regard, because the verdict form at trial did not designate to which claims the punitive damages were assigned, or in what proportion, a new determination had to be made with regard to punitive damages that eliminated any consideration of damages associated with alleged tortious interference and focused only on the remaining tort claims upon which the Lymans had been found liable at trial. Id. at 276–77 (4), 779 S.E.2d 474. This Court granted the Lymans' petition for a writ of certiorari to determine whether the Court of Appeals erred in holding that the GCSPA can authorize an award of punitive damages. See OCGA § 16–9–93 (g). For the reasons set forth below, we conclude that the GCSPA does not authorize an award of punitive damages. Accordingly, we reverse the decision of the Court of Appeals with respect to the availability of punitive damages under the GCSPA, and remand this case to the Court of Appeals with the direction that the court clarify that any remand to the trial court for a new trial on the issue of punitive damages cannot involve any purported award for such damages based on alleged violations of the GCSPA. Lyman v. Cellchem International, Inc., supra. [i]n interpreting this provision, `we apply the fundamental rules of statutory construction that require us to construe [the] statute according to its own terms, to give words their plain and ordinary meaning, and to avoid a construction that makes some language mere surplusage.’ (Citations omitted). Slakman v. Continental Cas. Co., 277 Ga. 189, 191, 587 S.E.2d 24 (2003). We must also seek to effectuate the intent of the Georgia legislature. OCGA § 1–3–1 (a). In this regard, `in construing language in any one part of a statute, a court should consider the entire scheme of the statute and attempt to gather the legislative intent from the statute as a whole.’ Sikes v. State, 268 Ga. 19, 21 (2), 485 S.E.2d 206 (1997). Bearing these principles in mind, while OCGA § 16–9–93 (g) (1) states that a plaintiff may recover `any damages sustained’ for injuries resulting from violations of the statute, the statute goes on to list `loss of profits and victim expenditure’ as examples of the types of sustained damages that are recoverable. These specifically listed damages are compensatory in nature. While the statute does not `limit [ ] the generality of the term [ ] “damages”’ to the specific forms of compensatory damages listed therein, there is no mention of `punitive damages’ being among the types of damages that may be recovered. Thus, the question here becomes whether the Legislature intended for punitive damages to be recoverable in addition to the types of compensatory damages specifically listed in the statute despite failing to specifically state that punitive damages are recoverable under OCGA § 16–9–93 (g) (1). For reasons described more fully below, we conclude that the Legislature did not intend for `punitive damages’ to be among the types of damages that may be recovered under OCGA 16–9–93 § (g) (1). [a]s an initial matter, it is axiomatic that punitive damages are not the same as compensatory damages, as punitive damages are awarded `not as compensation to a plaintiff but solely to punish, penalize, or deter a defendant.’ OCGA § 51–12–5.1 (c). Indeed, in this sense, punitive damages generally are not `sustained’ by a plaintiff, but are imposed upon a defendant based on that defendant's wrongful conduct. Thus, the statement OCGA § 16–9–93 (g) (1) indicating that a plaintiff may recover `any damages sustained,’ without more, would not appear to indicate a Legislative intent to allow for punitive damages to be recoverable under the statute. In this connection, where the Legislature has indicated that punitive damages are recoverable, it has generally done so through express language to include punitive damages among the types damages that a plaintiff may recover in addition to compensatory damages. See, e.g., OCGA § 43–17–14(a) (Georgia Charitable Solicitations Act allows a suit to recover `general damages sustained’ and `[e]xemplary damages . . .in cases of intentional violations’); OCGA § 16–14–6 (c) (Georgia RICO Act violation allows for `three times the actual damages sustained and, where appropriate, punitive damages’); see also OCGA §§ 16–9–129 (allowing for `actual damages sustained and, where appropriate, punitive damages” for identity fraud); 16-13-64 (d) (“actual damages sustained and, where appropriate, punitive damages’ recoverable for persons injured by another's failure to properly submit prescription drug information to the Georgia Drugs and Narcotics Agency); 16-15-7 (c) (Persons injured as a result of criminal gang activities `shall have a cause of action for three times the actual damages sustained and, where appropriate, punitive damages’). Again, here, there is no express language authorizing the recovery of punitive damages in OCGA § 16–9–93 (g) (1), and, if the Legislature had intended for such damages to be recoverable under the statute, it could have expressly stated so. See Morton v. Bell, 264 Ga. 832, 833, 452 S.E.2d 103 (1995) (`[I]f some things (of many) are expressly mentioned [in a statute], the inference is stronger that those omitted are intended to be excluded than if none at all had been mentioned’) (citations and punctuation omitted). [f]urthermore, looking to the entire legislative scheme of OCGA § 16–9–93, as we must (see Sikes, supra), we find further support for the conclusion that the Legislature did not intend for OCGA § 16–9–93 (g) (1) to authorize an award of punitive damages. Specifically, OCGA § 16–9–93 (h) (1) allows a criminal sanction of `not more than $50,000’ if certain violations of the GCSPA are proven beyond a reasonable doubt.’ See id. (`Any person convicted of the crime of computer theft, computer trespass, computer invasion of privacy, or computer forgery shall be fined not more than $50,000.00 or imprisoned not more than 15 years, or both’) (emphasis supplied). See also OCGA § 16–9–93 (h) (2) (allowing for $5,000 fine and one year of incarceration for criminal computer password disclosure). Thus, the civil cause of action provided for in the GCSPA evinces a legislative intent to leave penal sanctions to the government and a desire to cap private penalties, as opposed to an allowance for punitive damages which could far exceed the statutory cap of $50,000. To authorize a civil award of punitive damages pursuant to OCGA § 16–9–93 (g) (1) under a clear and convincing evidence standard (see OCGA § 51–12–5.1 (b)), and which could go well beyond the $50,000 penalty cap of OCGA § 16–9–93 (h)(1) for violations of the GCSPA proven beyond a reasonable doubt would be incongruent. See Slakman, supra 277 Ga. at 191, 587 S.E.2d 24; Johnson v. State, 267 Ga. 77, 78, (475 S.E.2d 595) (1996) (citations omitted). We therefore conclude the Court of Appeals erred in its determination that an award of punitive damages is authorized under OCGA § 16–9–93 (g) (1) and we remand this case with the direction that the Court of Appeals enter a new opinion that is consistent with our holding here. We also expressly overrule Automated Drawing Systems, supra, which the Court of Appeals relied upon to reach the erroneous conclusion that punitive damages are available for violations of the GCSPA. So the court reversed the Court of Appeals’ original decision and sent the case back to that court with directions to write and enter a new decision that comports with this opinion. Lyman v. Cellchem International, Inc., supra.